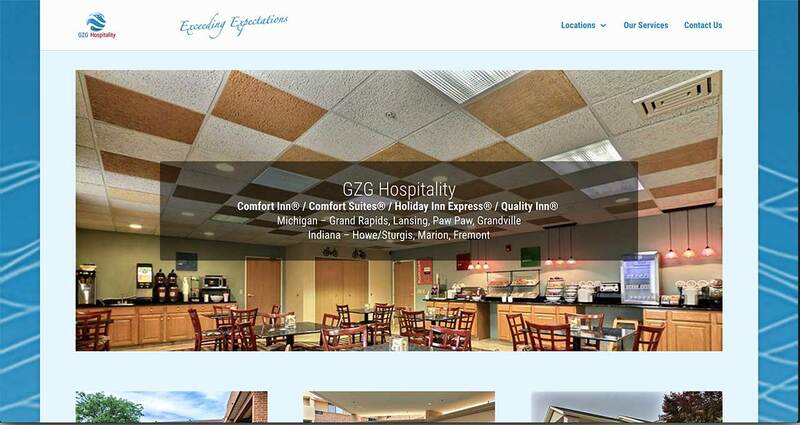 GZG Hospitality manages a number of hotels in Michigan and Indiana. 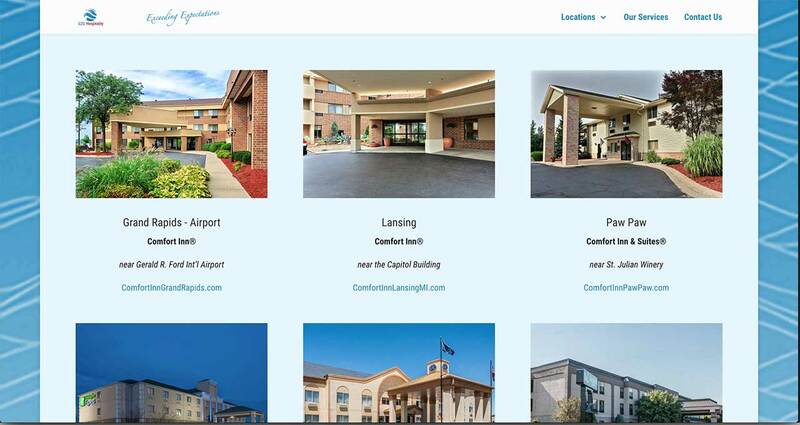 They needed a website to help folks find them while also showcasing the array of properties under their umbrella. 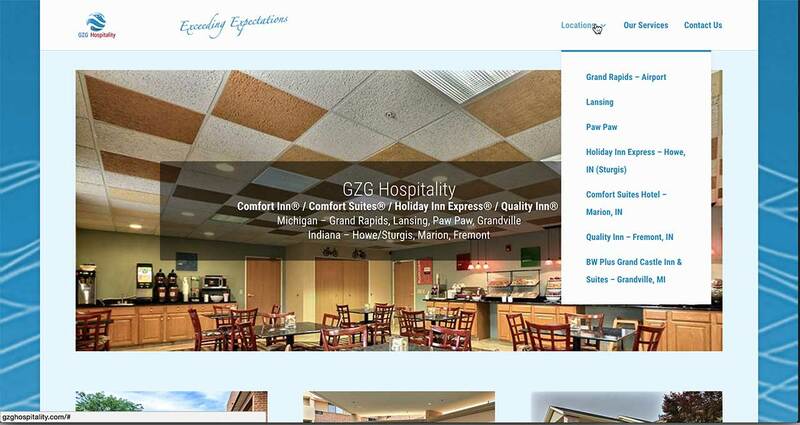 ZBx Technology built a website that’s easy to find and navigate. 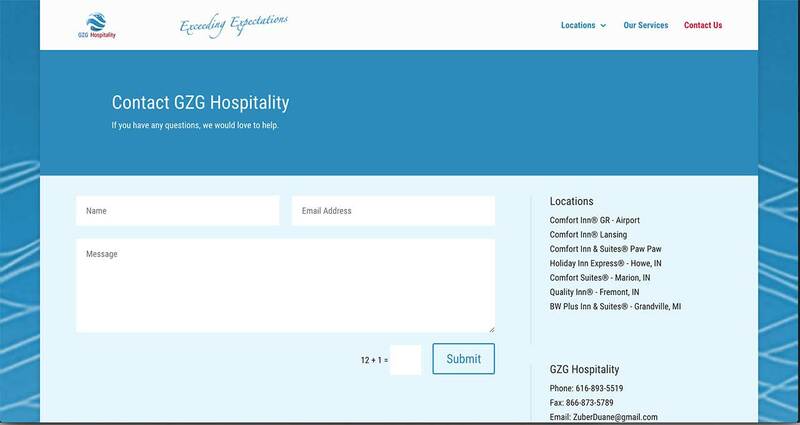 The website also moves users to the websites of the properties to encourage next steps – like making reservations.